Kirsan Ilyumzhinov: "This is a political decision"
FIDE President Kirsan Ilyumzhinov has published an article where he says the matter of organizing the World Women's Championship match in Lviv "has been settled", admitting that to be "a kind of political decision". "The representatives of the Lviv's rival city, Beijing, have submitted the bid in accordance with all the rules. Moreover, they have backed their application with the bank guarantee, providing a part of the prize fund", emphasizes Ilyumzhinov, making an equivoque towards Hou Yifan who has recently said that's not true. "As for the Ukrainian side, it hasn't complied with all the formalities", continues the FIDE President. "Nevertheless, I have insisted that the decision is taken in favour of Lviv. Why? In brief, my visit to Lviv, which allowed me to see the city through my own eyes, has convinced me that Lviv is a marvellous city, peaceful and friendly. Its chess traditions and chess school are very strong. These days, Lviv Chess Federation includes twenty GMs, among them Adrian Mikhalchishin, Vassily Ivanchuk, and Alexander Beliavsky who has been Mariya Muzychuk's coach. However, the last time a significant chess competition took place in Lviv was back in 1984 - it was the USSR chess championship. Since then, 31 years (!) have passed. 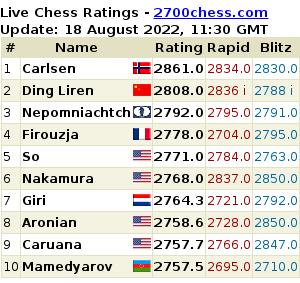 In my opinion, this is too unfair for a city the inhabitants of which love and appreciate chess so much. Besides, I'd like to reveal Lviv to the world, and not only the chess world. I'd like to shatter the myths about it, all the gossips saying Lviv is a stronghold of "zapadenschina" (West-Ukrainian nationalism - CN), "banderovschina" (a movement in support of Stepan Bandera - CN) and other disgusting things like those. I hope sincerely that soon we will be able to do the restoration of the building of the Lviv chess club, because President of Ukraine Pyotr Poroshenko and I have agreed to do it during our recent meeting - it will be a joint project of Ukraine and FIDE. And, most probably, we will organize the match between Mariya Muzychuk and Hou Yifan within the walls of Lviv Opera Theatre in 2016." According to Ilyumzhinov, "chess is beyond politics, but there is an exception to every rule". The full translation of the article by FIDE President is available here. The FIDE President was in Lviv today. Kirsan Ilyumzhinov: "Lviv is one of the most beautiful European cities"
Chess-News has learned that tomorrow in Lviv, there will be a meeting between Kirsan Illyumzhinov and Ukrainian President, Pyotr Poroschenko. 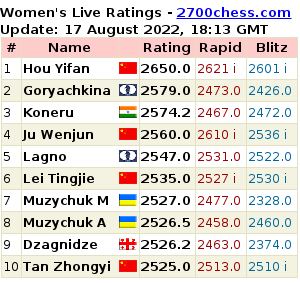 The FIDE President wants the Women's World championship match between Mariya Muzychuk and Hou Yifan to be held this year in Lviv, although China has already filed an official application to hold it. Illyumzhinov Replies to Kasparov: "He doesn't care about chess, but only about himself and his political goals"
On the FIDE website, Kirsan Illyumzhinov has replied to various recent statements by Garry Kasparov. We would remind you that in one of his comments, Kasparov reacted to Illyumzhinov's visit to Lviv and the subsequent decision to hold the women's world championship match in that city. In Kasparov's opinion, Illyumzhinov thereby was taking part in a special operation for Vladimir Putin. Last evening, Hou Yifan has arrived in Lviv by plane. The video of her arrival was then posted on Lviv City Council Youtube channel. After the Dortmund tournament, Hou Yifan gave an interview to the German journalists Dagobert Kohlmeyer, which was published on the Chessbase website. In particular, the ex-world champion (as we must strictly call her now) said that FIDE had not informed either her or the Chinese chess federation of plans to hold the world championship match against Mariya Muzychuk in Lviv. Grandmaster, journalist, member of the Ukrainian chess federation commission on media relations and Euromaidan activist Mikhail Golubev, has published an open letter to Ukrainian friends. Kirsan Ilyumzhinov: "We Stand on the Transition Between Two Eras"
So, it has finally been decided: the rematch between current world chess champion, Ukrainian Mariya Muzychuk and contender Hou Yifan from China to be held at Mariya's home town of Lviv. The match in Lviv between Mariya Mazychuk and Hou Yifan will open on 1 March next year, according to an interview given to the RCF website by FIDE Presidential assistant Berik Balgabaev. The first game will be the day after and any necessary tie-break will be held on 18 March.